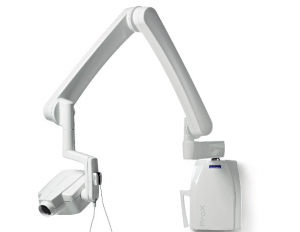 The Planmeca intraoral Xray equipment is the most pioneering dental device which provides high resolution imaging records. The high quality digital images ensure an extremely precise diagnostic. Planmeca Xpro is a user-friendly device which can be easily and accurately positioned. Besides its precise positioning, its practical design enables a rapid and efficient consultancy. It has a pre-programmed function for diverse exposure combinations and can be manually set as well. The imaging sensor makes the X-ray images accessible much faster. The record will be visible on the display just a few seconds after the exposure.